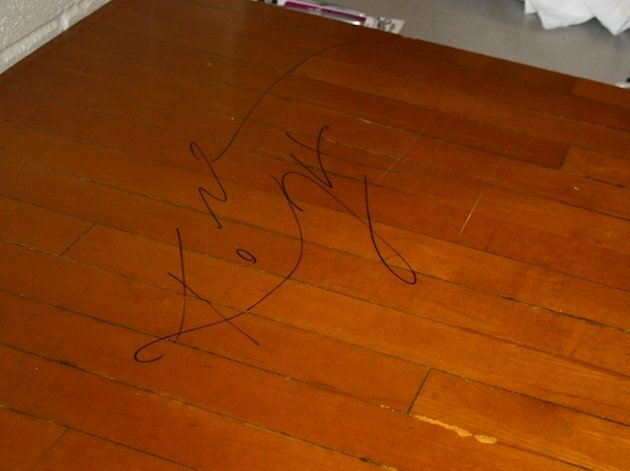 A three foot by three foot portion of the hardwood floor from Lower Merion High School where Kobe Bryant starred before winning championships in the NBA with the Lakers went for $2,500 on eBay. The portion of the floor comes from the school's previous gym which was referred to as "Main Gym"
The proceeds from the auction will go to the Kobe and Vanessa Bryant Family Foundation. Kobe donated $411,000 to the funding of a new gym at the school. 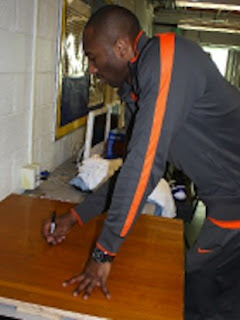 The gym was dedicated in December of 2010 and bears the name "Kobe Bryant Gym"